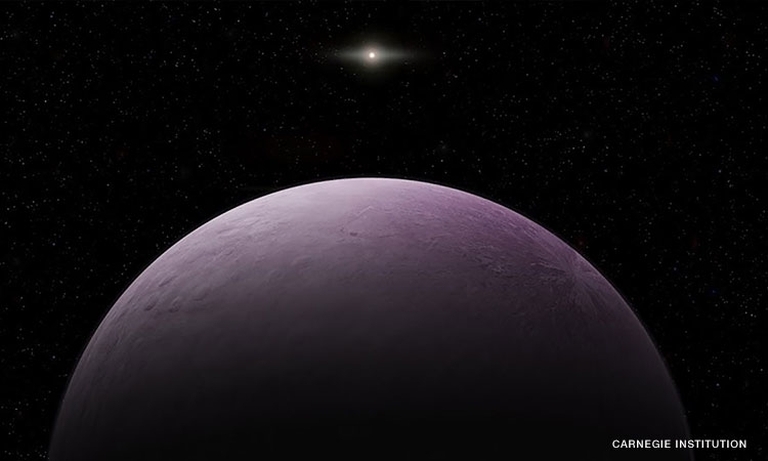 A team of scientists on the quest to finding Planet X, the theorized ninth planet, has announced the recent discovery of what is now known as the most-distant object in the Solar System. The International Astronomical Union's Minor Planet Center has named the object as 2018 VG18 but the scientists who discovered the object believe this is a dwarf planet and had named it as ‘Farout’. And the name is simply perfect for the object which is so far out of the Solar System that it is over 100 times farther than Earth is from the sun. In space terms, the distance between the Earth and the sun is identified as one astronomical unit (1 AU). Farout is so far from the sun that it is actually 120 AU away! In comparison, Pluto is actually ‘just’ 34 AU away. Before the discovery of Farout, Eris held the title as the most-distant object in the Solar System, measuring 96 AU. The Carnegie Institution for Science's Scott S. Sheppard, the University of Hawaii's David Tholen and Northern Arizona University's Chad Trujillo made the discovery while trying to find Planet X. Since 2014, the team had been trying to find the theoretical Planet Nine believed to be the one responsible for the gravity affecting the more distance objects in the solar system whose orbits are too far to be influenced by gas giants Neptune and Uranus. Both are actually too far from the orbits of these distant objects to be of any influence. “This discovery is truly an international achievement in research using telescopes located in Hawaii and Chile, operated by Japan, as well as by a consortium of research institutions and universities in the United States,” revealed Trujillo. Right now, scientists have no idea about Farout’s exact orbit but believe that it takes more than 1,000 years for the object to make a complete orbit around the sun!